Cold Steel Samburu Spear - 7 Ft. 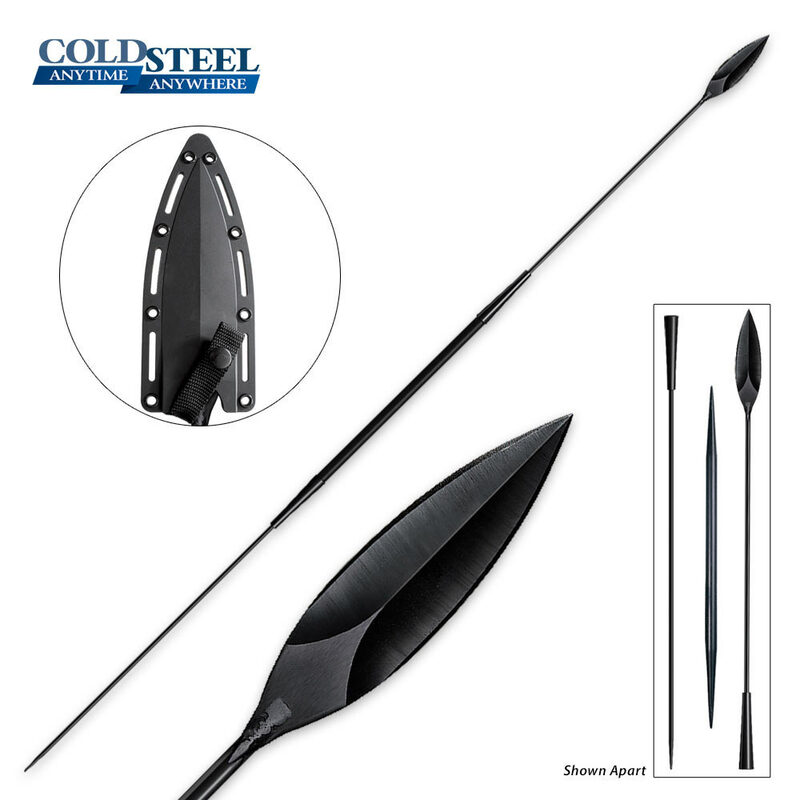 The Cold Steel Samburu Spear was designed after the Samburu tribe of Kenya. Known for their impressive spears, the Samburu warriors used these spears to deter animals from their flocks and herds, as well as enemies. The Samburu spear was the most advanced and state of the art spear of its type. So, Cold Steel's version of the warrior spear of the Samburu features a 7" 1055 Carbon Steel blade that is welded to a thick steel shaft for balance and features a strong, black Hickory handle. 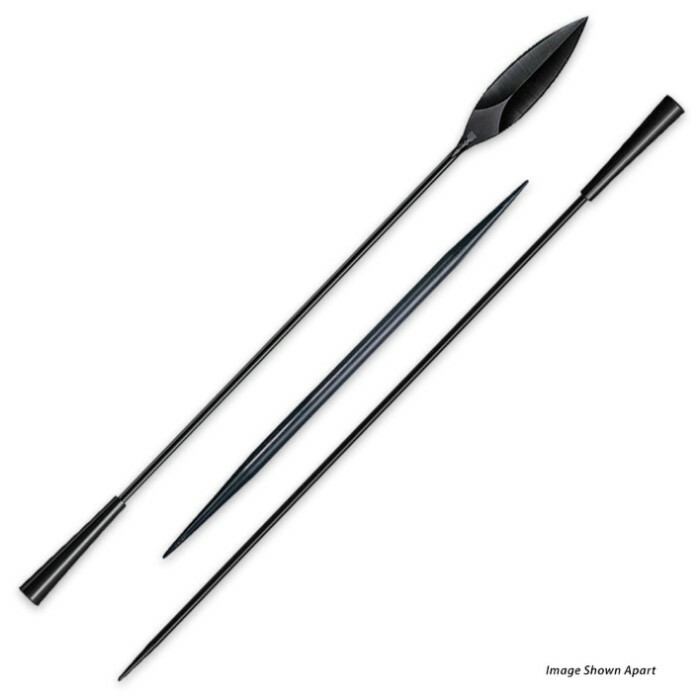 This spear can be used at long distances and always hits hard and penetrates deeply. Includes a Secure-Ex sheath.